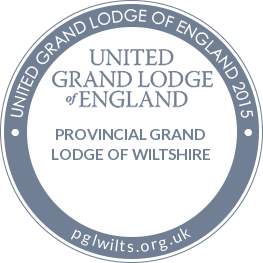 Meeting at The Masonic Hall, Bath Road, Pickwick, Nr Corsham, Wiltshire. The Lodge meets at 6.30pm on the last working day of January, February, March, April, October and November. 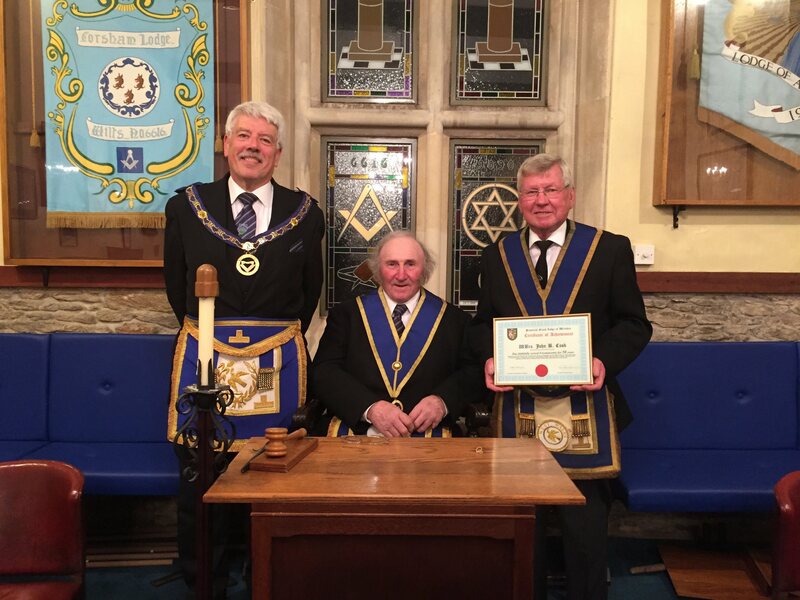 The Wiltshire Lodge of Agriculture No.9090 finished its season in fine style at their meeting on 28th April by presenting a 50-year service to Masonry certificate to W. Bro Brian Cook. W. Bro Stephen Bridge APrGM gave a most interesting account of Brian’s Masonic career and achievements outside of Freemasonry. The presentation was delivered in a most sincere professional manner by the APrGM and enjoyed by all present at this special occasion. W. Bro Brian was initiated on 10th April 1967 into Vesey Lodge No. 4473 in the Province of Warwickshire. He rose to the office of Senior Warden before a business promotion took him back to his native Wales. On moving Brian became a joining member of Aeron Lodge No.7208 meeting at Aberaeron and took the chair in 1988 after which he held the office of Assistant Director of Ceremonies. He was honoured with Provincial Grand Rank as PrSGD. Aeron Lodge had a long association with Lodge Thistle No.270 in the Grand Lodge of Scotland and for his services to them he was appointed an Honorary Life Member in 1995. 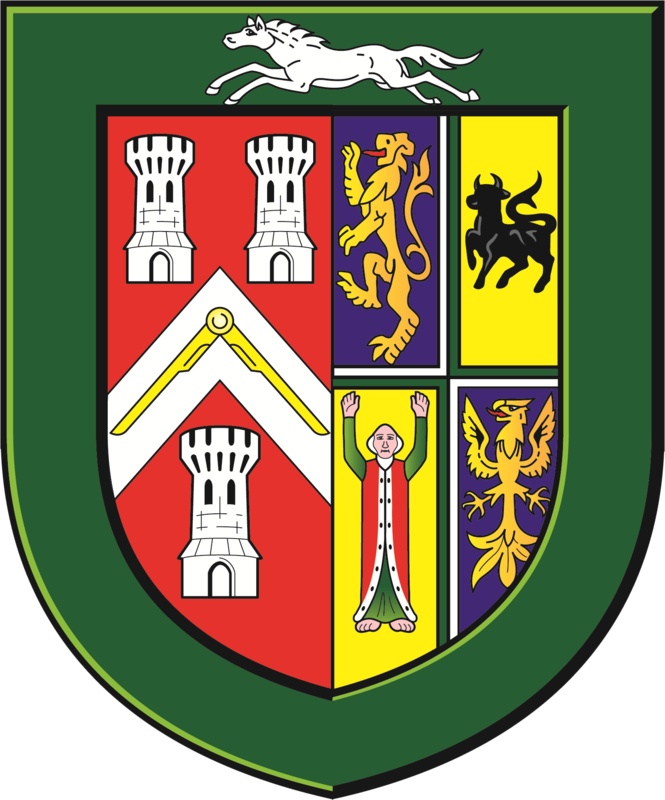 Brian spent much of his business life in insurance and was promoted to be the development manager for the South West and relocated to Swindon. 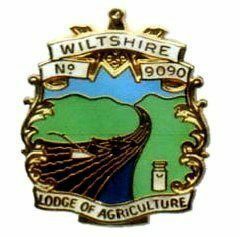 He settled in Holt near Trowbridge and joined the Wiltshire Lodge of Agriculture No.9090 a year later. He held the office of Lodge Secretary for seven years later becoming Lodge Almoner for a further five.  In February 1990, he was advanced into Mark Masonry becoming Master of Chaloner Lodge of MMM No.599 in 1998 and currently holds the rank of Past Provincial Grand Junior Warden and Lodge Almoner. W. Bro Brian together with his wife Stella will be celebrating their Diamond Wedding next year.